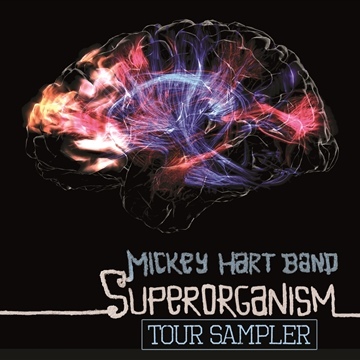 Mickey Hart is best known for his nearly three decades as an integral part of an extraordinary expedition into the soul and spirit of music, disguised as the rock and roll band the Grateful Dead. As half of the percussion tandem known as the Rhythm Devils, Mickey and Bill Kreutzmann transcended the conventions of rock drumming. Their extended polyrhythmic excursions were highlights of Grateful Dead shows, introducing the band's audience to an ever-growing arsenal of percussion instruments from around the world. Exposure to these exotic sounds fueled Mickey's desire to learn about the various cultures that produced them. On April 10th, 2012, Hart released Mysterium Tremendum, his first in studio album in five years, and the follow up to his 2007 Grammy winning Global Drum Project.